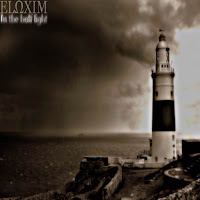 My band called ELΩXIM, It's structured around 3 basses (2 distorted-1 clean) and drums in specific records. No guitars are used in any record of ours. We play a mix of Funeral/Doom/Drone and even Black in some tracks. We are two people from Macedonia Greece and made this band come true since 2000. Our influences are bass bands like: Methadrone - OM - Big Business - Thrones - Necromantia - Godheadsilo - Bunkur - Skuldom - Halo and more. The specific album recorded in October 2007 in my home studio which was also mixed and mastered by me. I hope you like It.